The Japanese resources listed in this page are some very useful resources which I think can help you a lot in your Japanese-learning journey. I will add to it as I learn more. If you like, you can bookmark this page for your reference and convenience. Disclosure: Please note that some of the links below are affiliate links. That means I will earn a commission if you decide to make a purchase through those links, at no additional cost to you. Please understand that I have experience with (or have tried) most of the products personally, and I recommend them because they are helpful and useful, not because of the small commissions I make if you decide to buy them. Please do not spend any money on these products unless you feel you need them or that you feel that they will help you improve your Japanese. I hope that you find them useful. The links open in a new window so that you can keep the list of other useful resources in the background. If you know of a good resource that you think would complement this list, please contact me through this form. 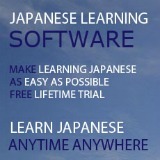 Rocket Japanese: I always suggest people to attend lessons at a language school to learn Japanese. However, many people may not be able to commit long term to attend regular classes due to many reasons. The alternative is to learn through software where you can learn to speak Japanese at your own pace and time. As this is an online course, you can plan your schedule to study anytime, anywhere, so long you have an internet connection. One important feature that Rocket Japanese provides is the Recording feature that you can use to match your voice to that of the Japanese native's voice in order to perfect your Japanese pronunciation. This is the biggest reason that I recommend this online software. Click here for a detailed review of Rocket Japanese. Japanese Electronic Dictionary: I highly recommend every student who is serious about learning Japanese to get his/her own electronic dictionary. It's a one-time investment but you can access to many additional things that you won't learn from textbooks or paperback dictionary. I still carry one wherever I go so that I can check unfamiliar words instantly. Kodansha's Furigana Japanese Dictionary (Kodansha Dictionaries): This is the first Japanese dictionary I bought after started learning Japanese for about half a year. At that time, I found that my vocabulary was too limited and I tend to repeat using same words every time I made a sentence. That's when I decided to get my own dictionary. This dictionary lets you check the meanings of words from Japanese to English and English to Japanese. 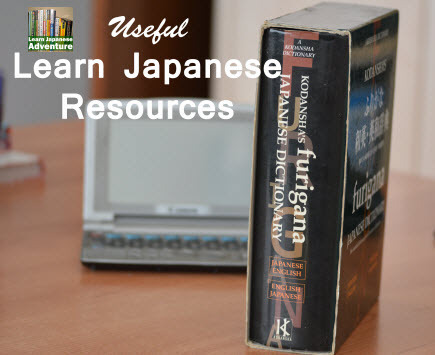 Japanese-English English-Japanese Dictionary (English and Japanese Edition): An alternative paperback Japanese-English English-Japanese Dictionary to the above Kodansha's Furigana Japanese Dictionary. Let's Learn Hiragana: First Book of Basic Japanese Writing: Let's Learn Hiragana is a textbook that introduces the learner to the basics of one of the fundamental Japanese characters. It contains all the exercises that allow the student to master hiragana by the time the book has been finished. Let's Learn Katakana: Second Book of Basic Japanese Writing: Let's Learn Katakana is the second textbook on katakana, another one of the fundamental Japanese characters. Similarly, this book will help you master katakana by the time you finished the book. The Kanji Dictionary (English and Japanese Edition): An absolutely needed item for any serious Japanese learners learning kanji. It contains the most useful and unique dictionaries of Chinese characters compiled for non–native speakers of Japanese. The Kodansha Kanji Dictionary: An alternative to the above Kanji Dictionary. One of the unique features is the core meaning, a concise keyword that facilitates an instant grasp of the fundamental concept of each kanji. Kodansha's Essential Kanji Dictionary (Kodansha Dictionaries): A compact, up-to-date, practical kanji dictionary suitable for full-time students, business people, or casual readers. It includes all of the 1,945 Joyo Kanji, the core kanji recommended by the Japanese Ministry of Education for use in Japanese newspapers and magazines. Essential Kanji: 2,000 Basic Japanese Characters Systematically Arranged For Learning And Reference: This book is an integrated course for learning to read and write the 2,000 basic Japanese characters. It introduces the kanji that are now in everyday use, a mastery of which makes it possible to read most modern Japanese. Minna No Nihongo: Beginner 1, 2nd Edition: Minna No Nihongo series of textbooks has been the standard textbooks for Japanese language learning in many Japanese language schools. It's especially suitable for Beginners and Intermediate students. I have learned almost all the basic Japanese grammars from this series of textbooks. Highly recommended. GENKI I: An Integrated Course in Elementary Japanese: Genki is one of the most highly regarded teaching textbook on the Japanese language. Although I have not read this textbook personally, it's very popular among many foreigners learning Japanese. I consider it to be high standard in order to gain such popularity. A Dictionary of Basic Japanese Grammar: Very comprehensive basic Japanese grammar dictionary that gives very detailed explanations on the key sentences, formation, examples, additional notes and related expressions for every grammar. Highly recommended especially for beginners. A Dictionary of Intermediate Japanese Grammar: The intermediate level's version for the grammar dictionary as introduced above. The structure is almost the same as the first book and is equally well written. If you are studying intermediate lessons, this book is for you. The Handbook of Japanese Verbs (Kodansha Dictionary): This book shows the tables and detailed explanation on how verbs are categorized and conjugated. It also gives the politeness levels, different forms such as transitive and intransitive forms. 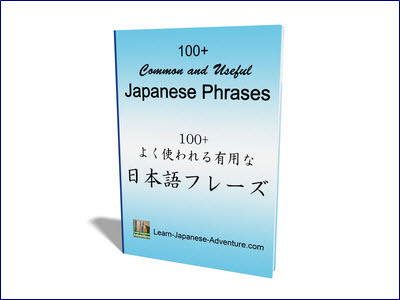 The Handbook of Japanese Adjectives and Adverbs: Adjectives in Japanese can conjugate just like verbs and you may find them difficult comparing to English adjectives. This book will help you understand all the different forms. The adverbs section is arranged in categories according to time, quantity, degree, circumstances, onomatopoeic words. Japanese Particle Workbook: This "Japanese Particle" book includes 60 particles and their 188 basic functions in order of frequency of usage. Each function is illustrated with example sentences, and exercises are presented in every few lessons to allow users to test their understanding. Highly recommended for students who are weak in particles. Japanese Kanji Flashcards, Series 2 Vol. 1 (Japanese Edition): Although you may find it boring, using flashcards to drill and learn new vocabulary has proven to be an effective method. This is especially true for learning kanji. Japanese Kanji Flashcards, Series 2 Volume 2 (Japanese Edition): Kanji is always one of the weakest link for many Japanese learners, especially people from western countries. Through these kanji flashcards, you can memorize many complex kanji which you might find it to be difficult at first. Japanese Kanji Flashcards, Series 2 Volume 3 (English and Japanese Edition): This is the 3rd volume for this series of kanji flashcards. i mi wa: If you can't afford an electronic dictionary, at least get this free Smartphone App. It's quite good for basic word checking considering it's free. However, this app is only available in Apple iOS platform. 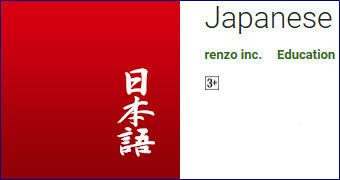 Japanese by renzo inc.: For Andriod devices, you might want to consider using this free App from renzo inc. It's equally useful as i mi wa. Moreover, it's available in both iOS and Andriod platforms. 英辞郎 on the WEB: This is the free online dictionary site you want to go to if you need lots of example sentences. You will learn the various meanings of the words from these examples. Nihongo Resources: This is one of the free online dictionary site that I always go to before I got my Japanese electronic dictionary. Even now I still go to this site sometimes for a quick check on vocabulary. 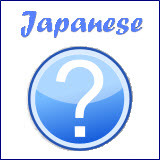 Excite Translation: This is a free online Japanese dictionary that you can translate from Japanese to English and vice versa. It also provides online Japanese translation for other languages like Chinese, Korean, French, German, Italian, Spanish and Portuguese. How to Teach English in Japan: The straight story on getting a great teaching position in this exotic country. If you are interested in teaching English in Japan, learn from the one who has more than 20 years of experience doing that. At this site, you will be guided through the process of becoming a EFL teacher in this exotic part of Asia. You will learn which qualifications you need, how to get a good job, and how to avoid some of the pitfalls that can befall a new teacher in Japan. Japanese Buddhism: The main Religions in Japan are Buddhism and Shintoism. Here is a page on Japanese Buddhism where you can learn about it and ask questions on things you always wanted to know. Benri Nihongo: Japanese Language Training for English Speakers in Hong Kong. Michigan Proficiency Exams: Site offering expert advice and online help for the ECPE, MELAB, MELICET and MTELP. Free e-book and practice material for English language proficiency. Advanced English Grammar: Learn advanced English grammar with easy to understand instruction and original FREE exercises from an internationally experienced English language instructor. Ielts Test Practice: Get the information you need, so you can get the score you deserve! Free e-book and practice materials plus expert advice for Ielts Test preparation. Omniglot: A comprehensive guide to writing systems and languages.